In 2014, Cornell University partnered with anti-harassment organization Hollaback to conduct a survey on street harassment. The results were appalling. Of the more than 4,000 American women under the age of 40 who took the survey, 96% said that they had experienced street harassment within the past year. And yet, for as prevalent as it is, one question still remains: Why? That’s the question blogger Danielle Page set out to answer when she conducted her own street harassment social experiment. For one week, Page decided to respond to every catcall she received in order to understand the motivation behind it. Laura Beth Nielsen, a sociologist, lawyer, and Northwestern University professor, believes she knows the driving force behind catcalling. 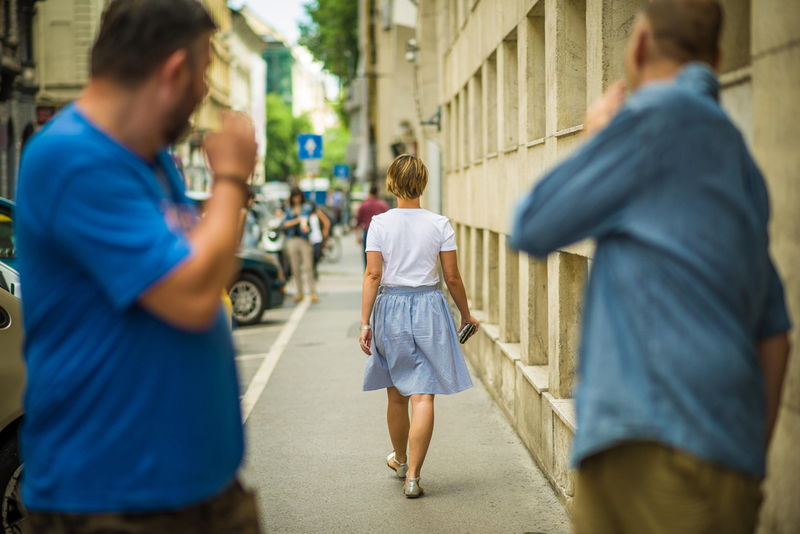 Having studied street harassment for years, Nielsen found that the intent is often to frighten or dominate the targeted individual. Nielsen also found that women modify their behavior (change their clothes, take a different route to their destination, or wear headphones) as a means to avoid harassment. This is especially true in Egypt, where women are slowly disappearing from the public sphere just to avoid street harassment. The problem became so rampant that a male actor by the name of Waleed Hammad decided to disguise himself as a woman and document his experience walking down the street. The resulting video went viral, and provided an insightful glance into life as a woman. If this proves anything, it’s that street harassment is a global epidemic. And as perpetrators, the responsibility for fixing this problem falls on the hands of men.